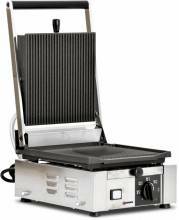 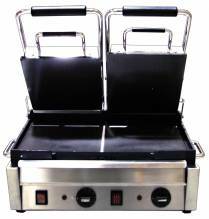 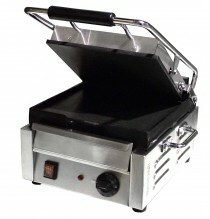 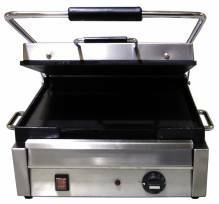 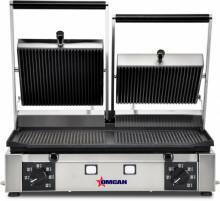 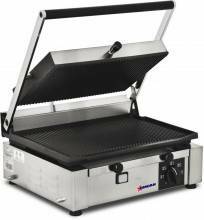 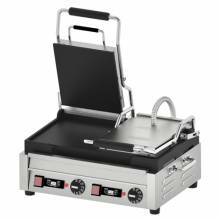 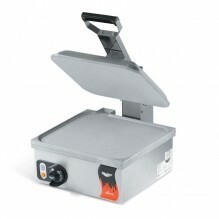 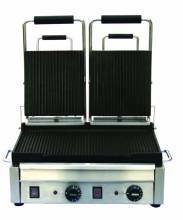 1800-Watt Single Panini Grill with Ribbed Top and Bottom - 10” x 11"
3200-Watt Double Panini Grill with Ribbed Top and Bottom -10" x 18"
3200-Watt Double Panini Grill with Flat Top and Bottom - 10" x 18"
3200-Watt Double Panini Grill with Flat Top and Bottom with Timer - 10" x 18"
Elite Series Panini Grill with Grooved Top and Bottom - 10" x 9"
Elite Series Panini Grill with Grooved Top and Bottom - 10" x 14"
Elite Series Panini Grill with Grooved Top and Bottom - 10" x 19"
Add a sandwich grill to your restaurant, café, deli shop or fast food establishment to diversify your menu and widen your establishment’s food selections! 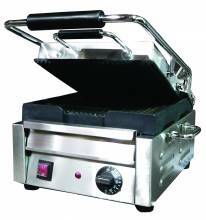 Paninis are a great option to have for your customer’s, as it takes ordinary ingredients and recipes and takes it to the next level! 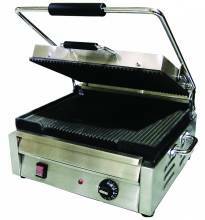 A commercial sandwich grill is a great addition to any food establishment, and is an easy and fast way to make extra money without increasing your budget!